Brown ungrained cloth. Black, blue, and white stamping on front. White stamping on spine. No decoration on back. Cream endpapers. Top gilt. Book topics: Higinbotham, John U., b. 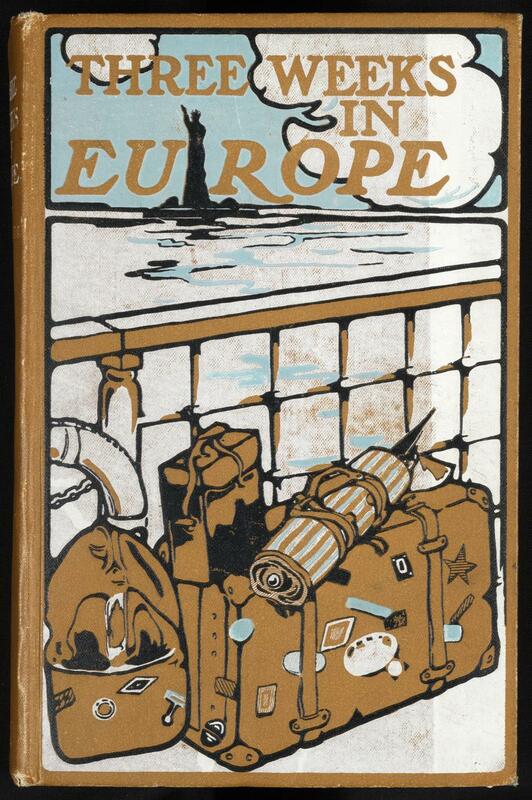 1867--Travel--Europe; Europe--Description and travel. From Minsky: A copy of the first printing of 1904 with the white area solid only on the right inch of the cover, but the other colors are not faded, indicating an apparent printing defect.